105 Commercial Real Estate and Properties in Melbourne Western Suburbs are listed in 9 categories. We have 144 Industrial Warehouses for Sale & Lease , 36 Development Lands for Sale & Lease , 18 Offices for Sale & Lease , 17 Retail Shops for Sale & Lease , 15 Showrooms for Sale & Lease and 6 Medical and Consulting Properties for Sale & Lease . Professional Space | Brightly Lit | Great Location $275pw | 3 Person Workspa..
PROPERTY OVERVIEW $275pw Price incl. Fabulous professional office in the heart of Caroline Springs, Victoria. This shared office has fully furnished private offices available to rent with a fresh, bright and clean decor highlighted by great natural light. Each office comes with everything your small business needs including fast NBN internet, meeting rooms, 24/7 access & security plus all inclusive billing to remove the hassle and expense associated with office leasing. This shared office space is situated within the modern Caroline Springs Corporate Centre, a thriving commercial area for shopping, coffee and dining. The contemporary building offers elevator access and ducted heating and cooling plus ground floor security and free street parking nearby. Melbourne CBD is a 30 min drive away (30.9km) making for a simple journey to meet with city based clients, partners and customers. A fantastic shared office for any small business looking to cut the commute and keep costs down in a bustling metro location. The advertised office space is perfect for a team of 3. If you need more or less space, we have over 30,000 furnished workspaces all over the world suitable for a team of 1 to 200+. Our award winning team offer a free service that will help you find the perfect solution for your needs, so reach out if you need more help. What you get for your weekly rent , 24/7 Access , 24/7 Security , Building outgoings included , Electricity usage included , Flexible terms , A fully furnished office suite , A prestigious address to put on your business cards , Secure high speed Internet Building features , Air conditioning , Disabled facilities , Ground floor security , Natural light , Direct access to public transport , Car parking Street (Free) , Retail and shopping malls nearby 450m from CS Square Shopping Centre Bus 418 and 460 stops right at the doorstep 110m from Quest Hotel/ Apartments 2min away from Lakeview Senior College WHO IS OFFICE HUB? Office Hub has largest collection of shared office space, sublet office space, creative coworking office space and serviced offices, perfect for 1 200 employees. Let us take you on a tour of all the spaces that fit your needs and budget. Our service is complimentary and we work for you and the landlord to negotiate the most competitive deal in the market. Let us show you how shared and serviced offices can be the perfect solution for your business. All pricing shown excludes any local taxes such as GST or VAT Conditions apply A portion of the square meterage factors in access to shared space. The advertised price includes any incentives offered based on a 12 month agreement. If a shorter period is agreed to please note the price may increase accordingly. This promotional offer for new tenants only and may be withdrawn at any time due to space availability. Offices from 116m2 Warehouses from 447m2 Total area 563m2 Modern staff amenities Container height electric roller doors High clearance clearspan warehouses On site car parking Minutes to the Deer Park Bypass with easy connection to all the major arterials. Contact Helen Lipman on 0477 006 134 for a copy of the plans today! Office of 45m2 Warehouse of 196m2 Total Area of 241m2 Modern staff amenities + shower Container Height electric roller door High clearance clear span warehouse 3 onsite carparks Located minutes from the Deer Park bypass providing easy access to all the major arterials. This business park is home to Bunnings, Officeworks, Derrimut Gym, childcare facilities with many cafes to choose from. Call Helen Lipman on 0477 006 134 to arrange an inspection today! 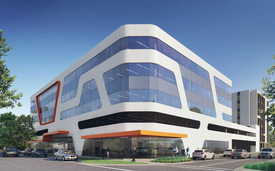 Office of 84m2 Warehouse of 696m2 Total area 780m2 Modern staff amenities Container height electric roller door High Clearance clearspan warehouse Main road exposure to Westwood Drive 13 On site car parks Minutes to the Deer Park Bypass with easy connection to all the major arterials. Contact Helen Lipman on 0477 006 134 for an inspection today! Ravenhall Industrial Office Warehouse Total Area 962m2 Contact Helen Lipman 0477..
Office of 180m2 Warehouse 782m2 Total area 962m2 Dual staff amenities in the first floor office and in the warehouse for workers Container height roller door with easy access High clearance clearspan warehouse 6 On site Carparks $50,000 P.A per unit / $100,000 P.A as a whole The Landlord will allow the upstairs office with separate entry and amenities to be sublet by the incoming tenant if need be. Minutes to the Western Highway with easy connection to all the major arterials. Call Helen Lipman on 0477 006 134 to arrange an inspection today! Total area 161m2 Modern staff amenities Container height electric roller door High clearance clearspan warehouse On site car parking Minutes to the Deer Park Bypass with easy connection to all the major arterials. Contact Helen Lipman on 0477 006 134 to arrange an inspection today! Office of 227m2 Warehouse of 782m2 Total Area 1,009m2 Modern staff amenities Container height electric roller door High clearance clearspan warehouse On site car parking Minutes to the Western Freeway with easy connection to all the major arterials Contact Helen Lipman on 0477 006 134 to arrange an inspection today! Warehouse Area 239m2 Office Area 62m2 over two levels Total Area 301m2 Modern staff amenities Container height electric roller doors High clearance clearspan warehouses Minutes to the Western Ring Road with easy connection to all the major arterials Contact Helen Lipman on 0477 006 134 to arrange an inspection today! Office of 182m2 Warehouse of 275m2 Total Area 457m2 Container height electric roller door High clearance clear span warehouse Modern Staff amenities Ample on site car parking Located in the prestigious Westpark Industrial Precinct Estate minutes to the Deer Park Bypass Contact Helen Lipman on 0477 006 134 for an inspection today! Office 62m2 Warehouse 145m2 Total Area 206m2 High clearance clearspan warehouse Container height electric roller door Modern staff amenities Security fencing Alarm Street frontage Load bearing mezzanine floor above the office with the ability to add extra office space. Minutes to the Deer Park Bypass with easy connection to all the major arterials Contact Helen Lipman on 0477 006 134 to arrange an inspection today! Office of 26m2 Warehouse of 224m2 Total area 250m2 Container height electric roller door High clearance clearspan warehouse Modern staff amenities Security fencing Street frontage Minutes to the Deer Park Bypass with easy connection to all the major arterials Contact Helen Lipman on 0477 006 134 to arrange an inspection today! Office of 65m2 Warehouse of 600m2 Total Area 665m2 Modern staff amenities Container height electric roller door High clearance clearspan warehouse onsite car parking Security fencing Contact Helen Lipman on 0477 006 134 to arrange an inspection today! 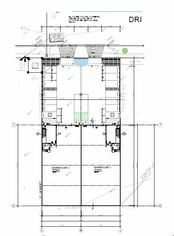 Office of 90m2 Warehouse 391m2 Total area 481m2 Outside the ground floor office there is a separate toilet and Kitchenette for workers. Upstairs has it’s own office, kitchen ,toilet, shower with separate entry. Container height roller door with easy access High clearance clearspan warehouse 6 On site Carparks The Landlord will allow the upstairs office with separate entry and amenities to be sublet by the incoming tenant if need be. Minutes to the Western Highway with easy connection to all the major arterials. Call Helen Lipman on 0477 006 134 to arrange an inspection today!